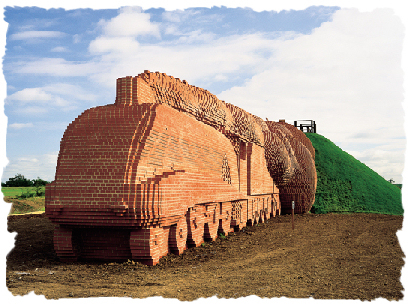 Exactly what it says on the tin: a massive train made from bricks just on the outskirts of Darlington, or more precisely "situated next to Morrisons on Morton Park Industrial Estate" it's location is rather depressingly described on thisisdarlington.com tourist information website. Me: *Sounding very serious and worky* I would like to hire an intern/work experience person to help with a project I'm currently undertaking and wondered if you might be able to assist me? Man: OK, I'll just get some details, can you describe the project for me? Man: Can I just stop you there, do you have a twin? Me: Err yes I do, do you know her? King Henry VIII’s computer says "NO"
This weekend I went away with my uni gang to the Cotswolds. 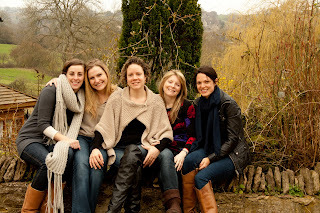 My friend Kat (far left) moves to Singapore for an indefinite period soon and we all needed a weekend away slopping around in our pyjamas 'til noon, pootling in picturesque villages buying things we didn't really need, breaking casserole dishes we found in the cottage and eating massive pies in country pubs (accompanied by lots of wine) to make us all feel like we'd spent some quality time together before she left.